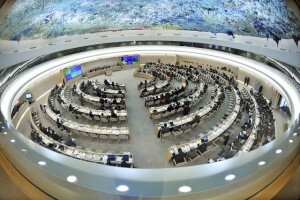 Next spring Tajikistan’s human rights record will be assessed for the second time in the framework of the Universal Periodic Review (UPR) of the UN Human Rights Council. This time, particular attention will be paid to the progress made by Tajikistan on the recommendations it received during the previous review in 2011. The UPR, which all UN member states periodically undergo, involves a review based on information provided by the state under scrutiny, UN human rights bodies, as well as civil society organizations and other stakeholders. Together with partners, International Partnership for Human Rights (IPHR) has worked on preparing two written submissions to the upcoming UPR of Tajikistan, which provide an overview of current key human rights concerns in the country, as well as recommendations to the authorities of Tajikistan for how to address these. The documents have been submitted to the Office of the High Commissioner for Human Rights, which will provide a summary of civil society concerns for the UPR, which is scheduled to take place in April-May 2016. The first submission covers issues related to counteracting torture and ill-treatment and has been prepared by the NGO Coalition against Torture in Tajikistan, which unites 12 human rights groups and five independent experts across Tajikistan, and IPHR. Its contents are supported by Helsinki Foundation for Human Rights (Poland), the Norwegian Helsinki Committee and the World Organisation Against Torture (OMCT). The second submission covers the following issues: freedom of expression and the media; freedom of association and assembly; freedom of religion and belief; and the right to life and the abolition of the death penalty. It has been prepared by Nota Bene, a leading Tajikistani human rights NGO, and IPHR.